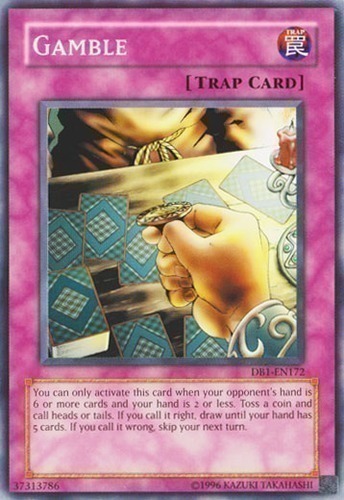 You can only activate this card when your opponent's hand is 6 or more cards and your hand is 2 or less. Toss a coin and call heads or tails. If you call it right, draw until your hand has 5 cards. If you call it wrong, skip your next turn.